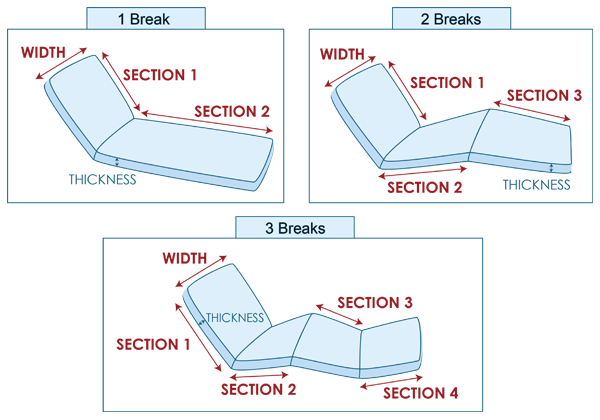 Our standard wedding chaise lounge cushions are made with your choice of 1, 2, or 3 breaks. 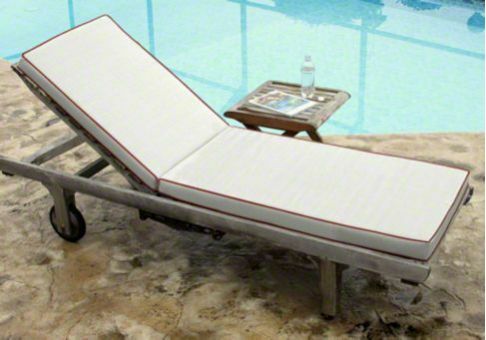 These are the perfect choice for any outdoor poolside or beach wedding. 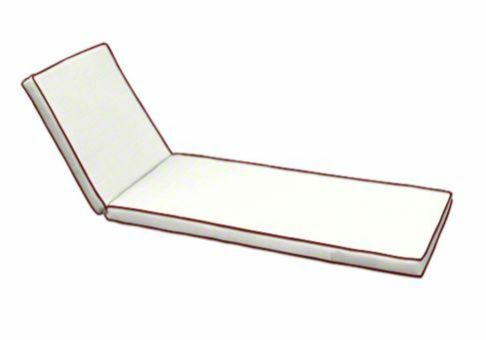 Create your wedding chaise cushion by choosing from beautiful outdoor and indoor fabrics. Our chaise cushions come with the choice of fabric, fill and thickness, as well as your choice of ties- all designed to make any bride happy. Your finished product will be within ½" of your provided dimensions. Measurements do not include thickness of welting.